Emma Goring’s education into the Glass Industry was already unparalleled. For the past year, she has been studying on our BA Glass & Ceramics course, taking full advantage of the facilities at the National Glass Centre and working alongside our highly qualified teaching team. 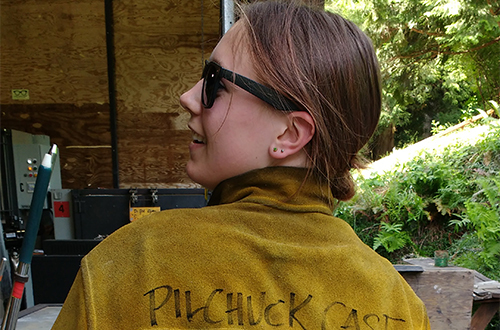 Having made fantastic progress, it came as no surprise when she was offered the chance to complete a summer placement at the renowned Philchuck Glass School in the state of Washington. With help from the Futures Fund, she was able to jet off Stateside this summer for what would prove to be a truly unforgettable experience. 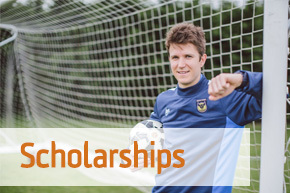 The trip was made possible thanks to the scholarship money she received, which went towards covering the considerable course fees to study at the institute over the summer. After arriving, Emma was placed at the centre of an environment that rewarded innovation and creativity, allowing her to experiment with glassmaking techniques in a way she had never been able to before. Not only was she was able to push her artistic boundaries, but she was also able to learn from some legendary glassmakers. The school had masterclasses from Raven Skyriver and Dante Marioni, something which Emma believes she learned a huge deal from simply by watching them. She said: “Having these two fantastic and world renowned artists visit whilst I was there was beyond incredible, and seeing them work was brilliant. The school boasted an array of facilities that were different to the ones at Sunderland, allowing Emma to try new techniques that she was unable to previously. 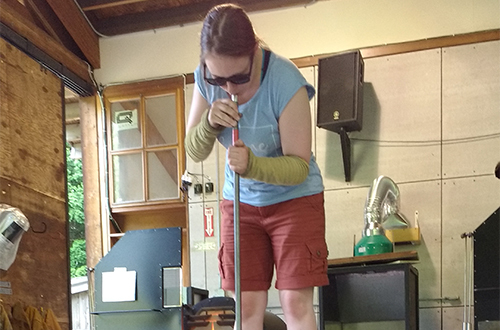 “One of my favourite memories of my time out there is blowing glass over a fire pit,” she explained. The school also places a strong focus on making friendships and working together, which allowed Emma to make a host of new friends and connections, along with meeting a fellow Sunderland student. During her time away from the School, Emma was able to sample the city of Seattle, which is less than an hour’s drive from the School, and to taste American culture with her newly found friends. Having the chance to explore a new city was something she found to be truly breathtaking. “Getting a place at the school, through the help of the Futures Fund, allowed me to go to places I’ve never seen before and experience new things,” she said. Now, Emma’s future looks as bright as the glass she blows. She has already secured an Internship at her Pilchuck tutor Aaron Baigleman’s Chicago hot stop next summer, and will bring a range of new skills, experience and contacts back to Sunderland with her. 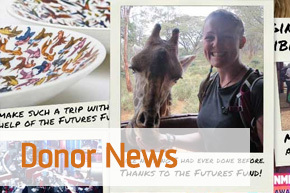 All this, she says, could not have happened without the Futures Fund and she expressed her enormous gratitude to the donors who helped make the trip possible.